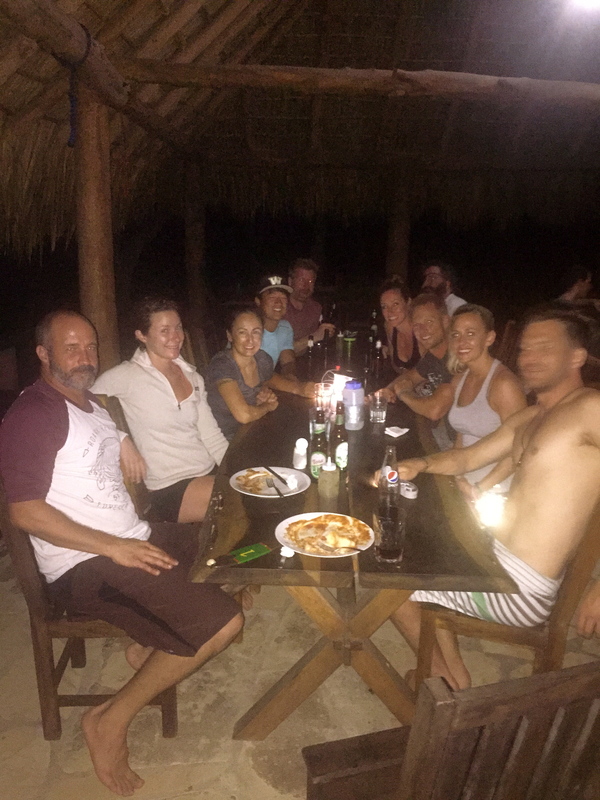 This is for anybody who wants to unplug in for a week, sweat, surf, eat amazing healthy food, sleep under thatched roofs, read a book, eat over candlelight and hang out with wonderful people. Families are welcome! Onsite childcare is available at a very low rate. There is minimal electricity and every bungalow has cold, natural showers. The weather is hot and sunny most days. Be prepared for wild storms as we arrive during rainy season. Typically it rains for an hour each day followed by hot sunshine. 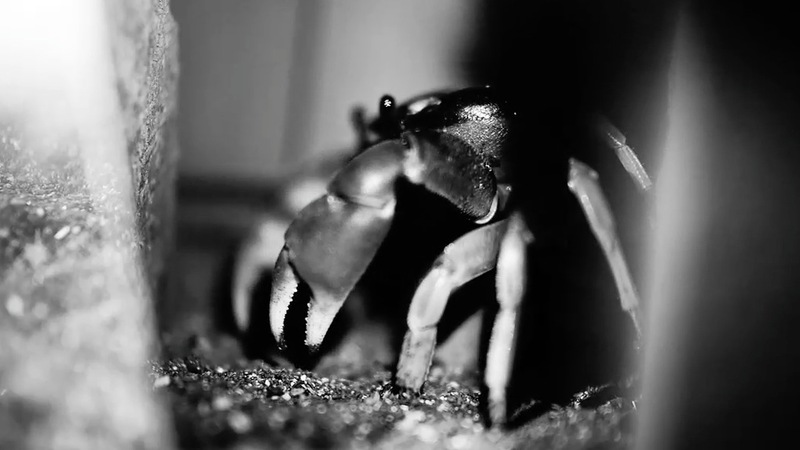 Expect wild nature, the most gorgeous sunsets and sand crabs in your shoes! Surf as much as you want. Don’t surf if you don’t want to. Nap. Good conversations. Healthy alone time….a retreat should feel like a treat! We will be off the grid. The accommodation is rustic, shared beach bungalows (singles available upon request, although limited and may cost more pending on numbers). This is not a swanky spa but it is heaven to me. There is no air conditioning. No room service. No nonsense. Bug netted beds. Sometimes a bat will fly over your head at night or a frog might be in your shower and you will have to be okay with this! This is a great place to detox from modern addictions to laptops, cellphones, social media and to keep it real. It’s a fairly easy but bumpy 90 minute trip to Los Cardones from Managua airport. We will arrange pick-up and drop-off for you in advance. Car rental isn’t recommended. If you are looking for a five-star spa experience, admit to being high maintenance and are afraid of thunderstorms and iguanas… you may want to reconsider! Because we all need it. 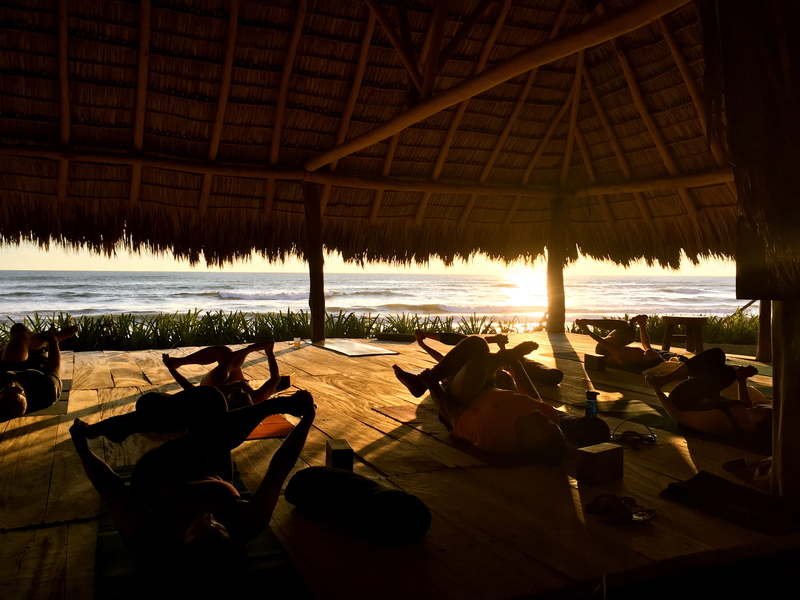 The style of yoga will be a daily sweaty vinyasa practice, structured around the surf each morning. Typically a 9am-11am practice. At night pre-sunset we will do a restorative/yin practice. Our practice will also include pranayama (breath work) and meditation (for all levels). It will be all inclusive, nobody will feel left behind and it will be progressive. This is NOT a teacher training. I want you to feel filled up, restored and shining by day seven. This retreat also includes an optional hands-on component. 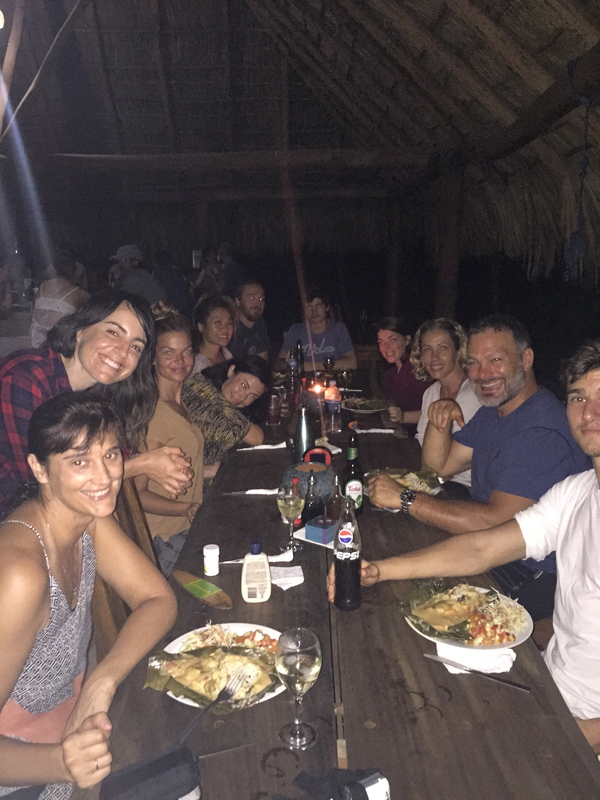 You can do as little or as much as you want – giving back to the gorgeous Los Cardones eco-surf community. 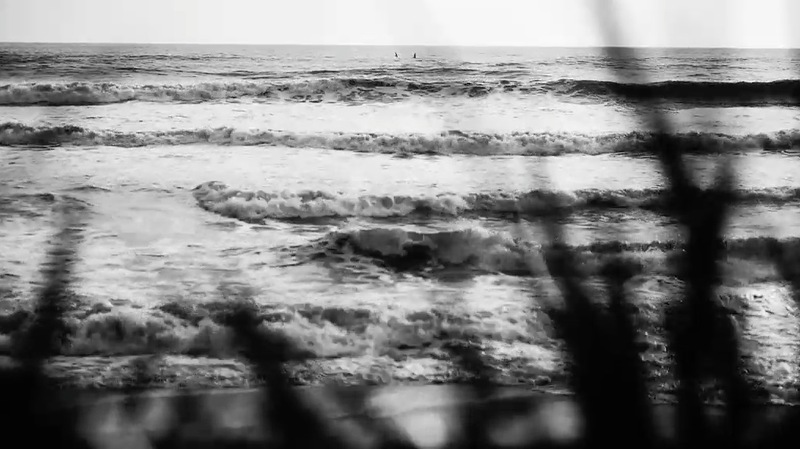 Izic and Laure have committed to: sustainability, eco-friendly, surf culture and ethical practices. Beach clean ups is something I like to do daily, even just on a morning walk. As well, the current turtle nursery often needs to be rebuilt. It’s a bit of a chore – if you’re up for it. There were 14 of us last year and it was still a grunt! 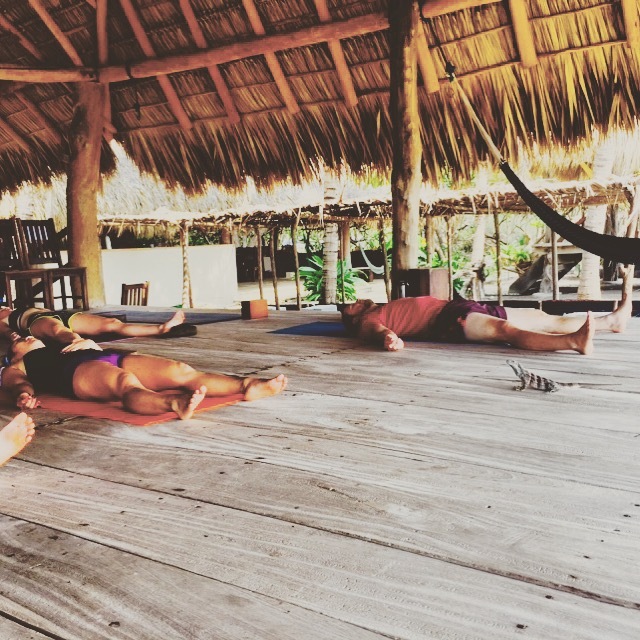 Los Cardones is one of my happy places where I have held yoga teacher training programs and retreats for nine years. 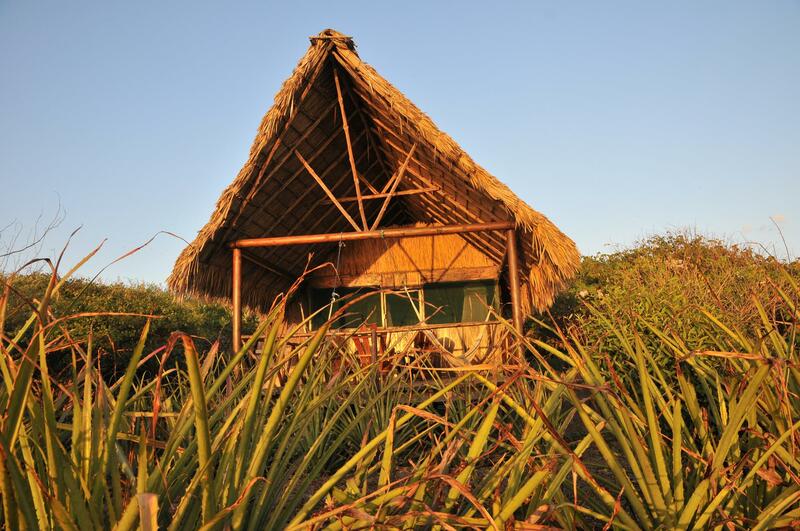 This is an eco-surf lodge, well-loved by the local villagers. Izic and Laure are surf bums at heart who built their dream from the ground-up and live in Nicaragua with their three children. I love this place with all my heart. You will too. $1250 USD per person – This includes everything except your flight and airport pick-up/drop-off. The check-in is the morning of October 14 typically by 10am or so, check-out on the morning of October 21 by 10am. However, you can chill all day at Los Cardones before your flight. If you want to book extra nights before or after these dates, please arrange separately with Los Cardones. 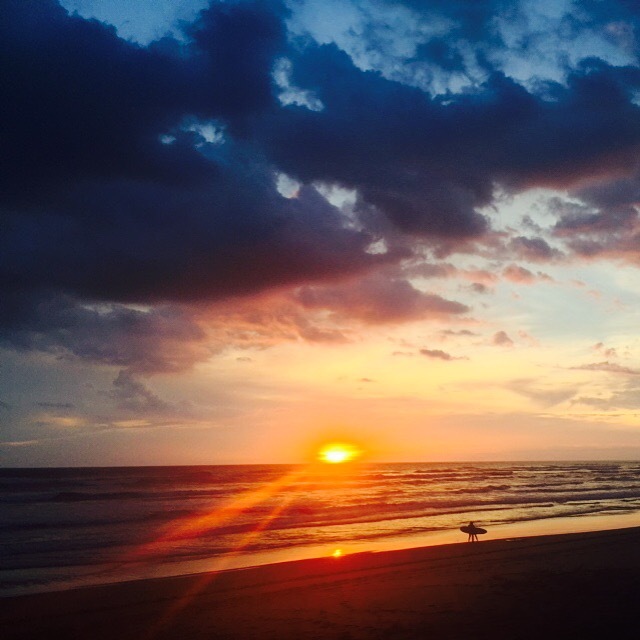 Guests typically fly in the evening before into Managua airport and either arrange an extra night at Los Cardones (late evening pick up can be arranged) OR spend the night at Managua Best Western and get the morning shuttle. Let us know! KIDS* – Be in touch as it varies with kids ages etc. and if we can squeeze y’all into a private bungalow. If this is the case, be in touch sooner than later as last year sold out. I want to keep this as affordable as possible so it’s accessible for all. This price includes tax, seven nights of shared accommodation (single accommodation is limited and I will have to charge extra for this request) all food (three meals sooo yummy), non-alcoholic drinks, two yoga sessions daily. Vegetarian, vegan etc. available upon request. Surf lessons $15/hr or $30/hr with board included. Beer, rum, wines are available for purchase. Who am I? I could begin by telling you where I have been and who I have taught but ultimately I am just like you… doin’ my best as a yoga teacher, writer and full time co-creator since 2003.